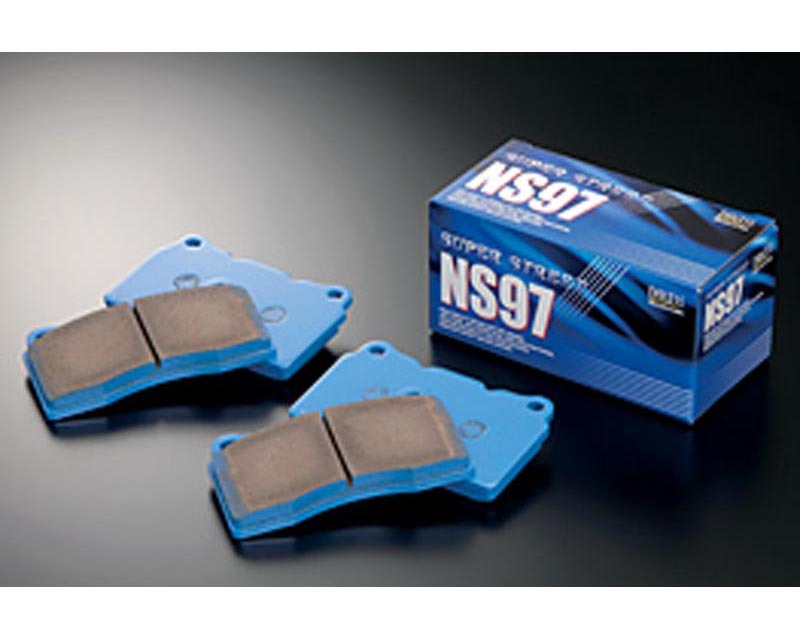 The NS97 compound was created after years of developing compounds that maximized characteristics needed for an optimal brake pad in street conditions. The NS97 is an incredible all around street pad, exhibiting very low wear and extending rotor life, with superb initial response and exceptionally low brake dust. It is one of the highest performing street compounds within the Endless lineup. One of the biggest complaints users of high performance brake pads have is the excessive dust they produce. Many drivers have only two choices, constantly clean your wheels or learn to live with filthy wheels��_until now. Endless NS97 pads reduce dust meaning you can spend less time cleaning and more time driving. Recommended for drivers wanting increased bite and increased braking in high temperature situations while still maintaining clean wheels.